This survey shows the share of individuals who used the internet for online payment accounts like e.g. PayPal in Sweden in 2016, by age group and gender. 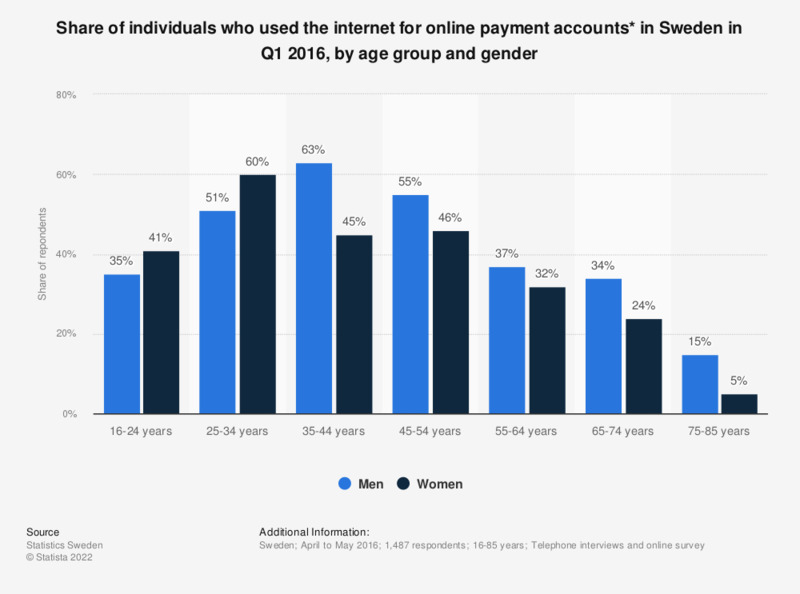 During the survey it was found, that 51 percent of men and 60 percent of women aged 25 to 34 years used online payment accounts to pay for goods or services. Everything On "Online payments in Sweden" in One Document: Edited and Divided into Handy Chapters. Including Detailed References. Statistics on "Online payments in Sweden"
Which of the following online activities do you perform on your computer at least weekly?